Shweta looks gorgeous in this pink sharara by SVA ! X-Men: Dark Phoenix Final Trailer Out Now! Asmita Sood Styles It Up This Summer! Shubhaavi Choksey Is One Of Tv’s Hottest Style Diva Moms! Alia Bhatt And Varun Dhawan Dance To Li’l Champ Swaransh’s Tunes! 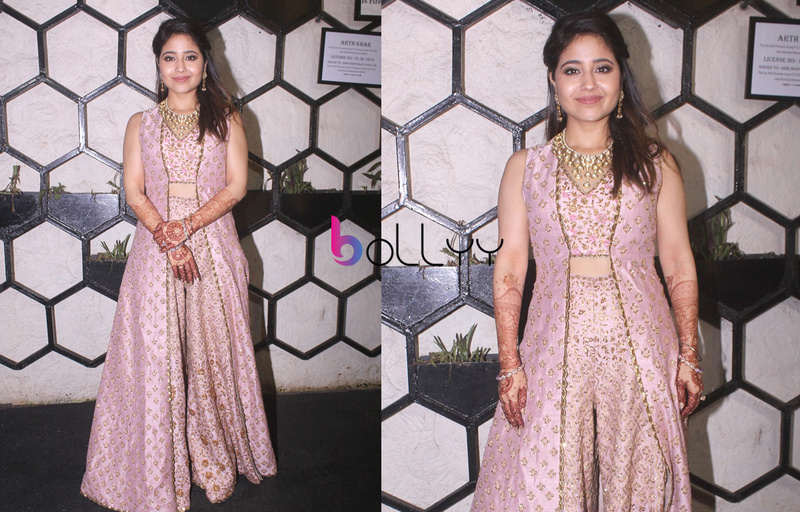 The Masaan actress wore a custom made pink sharara by SVA by Sonam and Paras Modi and was styled by Pooja Sethi for the occasion, with her hair and makeup done by FatMU. For more Bollywood updates, follow Bollyy! When Sanjay Dutt Chased Padmini Kolhapure And…. Sahil Anand Is Thrilled To Be A Part Of Student Of The Year 2! Check Out Ekta Kapoor & Anand Mishra’s Bcl Players! © 2019 - Bollyy. All Rights Reserved.